Today we have an exclusive interview with mystical UK prog rock heroes Gandalf’s Fist. Hi guys, welcome to Independent Music Promotions. Tell us about your new release “Road to Darkness” and what listeners can expect? Dean: I’ve heard it described before as “Medieval-Space-Rock” which sounds about right to me! Basically, we always like to tell stories within our songs so we decided to do a sci-fi re-imagining of Baum’s “Wizard of Oz”. Most people pick up on the Pink Floyd influences in this album but we made an asserted effort to have a lot of unexpected twists and turns on this record – there’s folky shenanigans, choruses of pirates and jew-harps – quite eclectic, but it all seems to gel together really well! Luke: For this album we wanted to create an arc of songs, each song building on the theme of the album telling different aspects of the story, music whise it’s very Pink Floydy in sound, with heavy crunching guitar riffs. Why did you choose progressive rock as the ideal medium to express yourselves? What do you love about it the most? 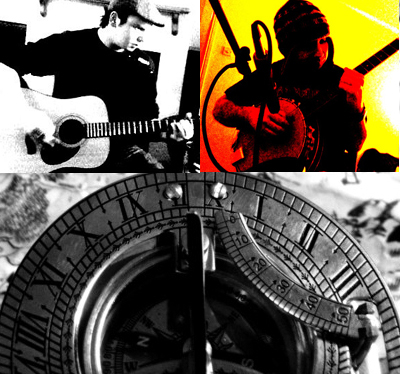 Luke: Prog rock is a genre that most might think is old hack and based in the 70’s, but we’ve taken the elements of that early scene and mixed it with long tempo changing solo’s and folk inspired sea shanties to create something thats unique. Prog is our world seen through music, we love fantasy and sci-fi and pirates, we have a lot of fun making our music and I hope it shows in the songs we record. Dean: It’s all about freedom. There’s no ‘rule book’ for Progressive rock. If we decide that we want to tag a two-minute pirate-metal breakdown onto the end of a William Wordsworth poem or create an entire record about a talking frog that lives in a chimpanzee’s hat there’s nobody around shaking a big stick saying “You can’t do that!” It’s vitally important to us, make no bones about it, we are moderately strange… If we recorded a gangster rap record about a wizard living on one of Jupiter’s moons we’d probably be sectioned. What have you found works well for you as far as promotion goes? Luke: We love Facebook, advertising on there has enabled us to establish a fan base world wide, we have a good following on Last FM and Spotify, once the word got out there it was amazing where we found fans, we’ve been on Polish radio and have had lots of cd sales from the US. Dean: Social network sites really are great. Well not all social networking sites – I tried advertising through ‘genes reunited’ and got zero album sales and one estranged Australasian Uncle. However, sites such as twitter and Facebook are fantastic for us because it creates a sort of ‘virtual word of mouth’. If someone chooses to interact with us this then disseminates to all their friends, relatives and casual stalkers. Music blogs are good as well, however we’ve found that a lot of these blogs popping up now are pirating our stuff, which is a shame because If I was a pirate I’d be busy plundering and trying to commandeer aircraft carriers, not posting MP3’s with people singing about goblins and orcs. Luke: Speaking of which, we’ve got to give a big mention to the guys at Middle Earth Network who have been very supportive in promoting our work. Dean: The guys at MeN have been really good in helping to promote our releases through their radio station, and to be honest we love internet radio and podcasts – we’ve done a number of interviews with different stations and they are always a good laugh and let us give a bit of background behind individual tracks. Tell us about the biggest influences and inspirations that inspired you to play music? Dean: My biggest influences and inspirations were a lot of bands that popped up during the new wave of British heavy metal in the 80’s. Obviously there a few like Maiden and Def Lep that have stood the test of time but that movement was like Punk for talented people – you’d have new bands popping up left, right and centre performing some great stuff! I would listen to bands like Angel Witch and think these guys have popped up and created a musical legacy just by releasing one good record. Truly inspiring. Luke: Music has always been a massive part of my life, i’m never far from my generic MP3 player. I also love telling stories and I find that music allows me to tell stories within the songs. Dean: A lot of people say they can hear the influence of the heavy hitters of Progressive rock in our music but to be honest I’m influenced a lot more by bands that tumble along in a world of their own and create beautiful melancholic songs. I love Camel, Caravan and Blackfield in particular and am really inspired by some of the newer bands such as Riverside, Crippled Black Pheonix and Astra, these guys really know how to knock out some prog gold! Dean: It seems that every time we do and interview it’s only a matter of time before me and Luke start to talk about Porcupine Tree. And with good cause – I think Steven Wilson has a growing body of work that is starting to get recognized alongside the giants of the genre. Also, personally, I have tremendous admiration for Bruce Dickinson. He’s a shining example that you can play Rock music and still be educated and articulate… Plus, his voice is just ridiculously good! Do you have any advice for aspiring independent musicians who may feel disillusioned or discouraged at times? Dean: As independent musicians we’re used to rejections from labels and licensing deals, but it’s when someone goes out of their way to put you down that can sting a little – a nasty comment on youtube, facebook, whatever can really put me off my cornflakes. What I will say is this, I have the upmost respect and admiration for anyone who creates something and is brave enough to share it with, literally, the world. If someone doesn’t like it then they can go to hell in a binbag – you didn’t create it for them. Luke: If you enjoy what you do, stick at it, not everyone can make it as an artist, theres millions of talented people who will never climb the charts, but if you enjoy what you do and get satisfaction from performing live and recording tracks then don’t stop, lifes too short. Please talk about the lyrical themes on “Road to Darkness” and the effect you hope to have? Luke: The album tells a story a girl trapped on a strange world, in the middle of a war between powers that she cannot comprehend, Its The Wizard of Oz, but Dark and Sinister, the sounds compilment the story and the lyrics and take you on a journey somewhere very odd. Dean: What really makes a good concept album is when you take an individual song out of it’s context and it still means something to a casual listener. There’s a couple of tracks on there like ‘The Council of Anderson’ which are very much rooted in the ‘concept’ but the lyrical content of the rest of the songs are very much self-enclosed. The main themes of the record are death, loss and political control… it’s a very happy record – I recommend playing it at your kid’s birthday party or family wedding. How can music fans keep tabs on Gandalf’s Fist? 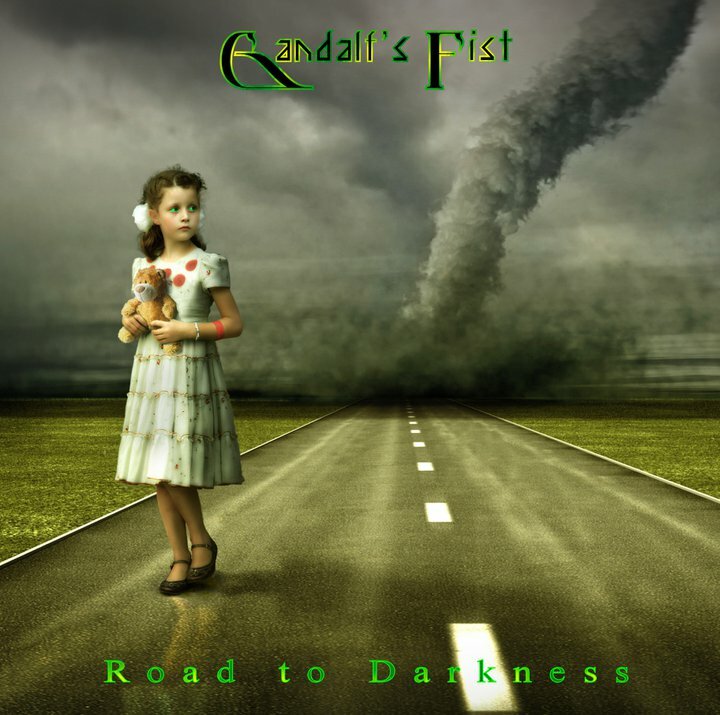 Luke: We have our own website at gandalfsfist.com where we have regular news updates and blog entries, we are on facebook and twitter and have rare and unreleased tracks posted on soundcloud. Dean: If you want to find out more and listen to some stuff then the website’s the best place to visit, if you want to have a bit of banter then please come and join our growing army of strange faces on Facebook. If you’d like to get in touch for whatever reason then we’ve got a contact section on our site – we get emails from all over the world, only yesterday we received one from a Nigerian princess who’d been kidnapped by her Uncle… Don’t worry though, I sent my bank details through just in time so hopefully she’ll be able to escape with my reward.